Any rehydration method of an Ebola patient is the key to their survival. That’s all, and failure to do that, giving all kinds of excuses is not acceptable. Excuses should not be tolerated in this outbreak. Dr. Abu Sadogo of Senegal. 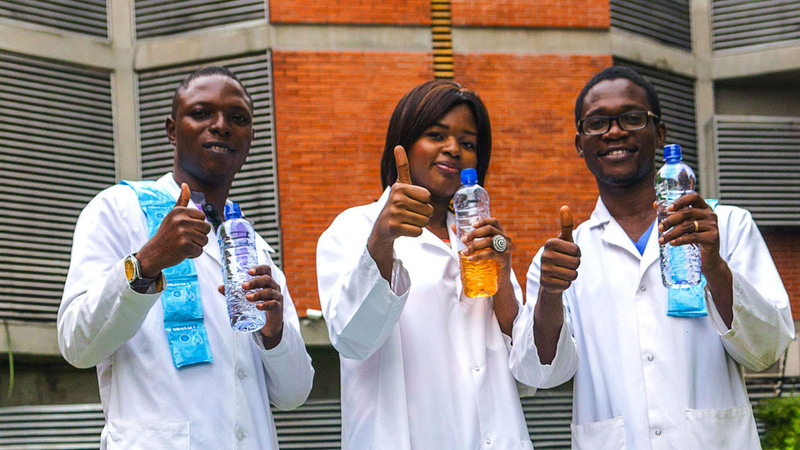 At the onset of symptoms, Dr. Adaora Igonoh (center) and her colleagues began drinking oral rehydration solution. It doesn't taste great but they say it helped them survive Ebola. They each downed over a gallon a day for nearly a week. Some medical experts from around the world ‘seeking’ to lead medical teams in the Ebola epidemic are caught sharply opposed to entrenched traditional medical practices in the West African sub region. In places hard-hit in by the Ebola virus, these experts oppose the treatment regimen where most patients are administered an aggressive dose of intravenous hydration, a therapy that is standard in most West Africa countries like Ghana, Nigeria, Ivory Coast, Mali and Senegal. African herbalists, mostly led by the National Herbalists Association (NHA) in Ghana, insist that even an aggressive oral rehydration treatment has proven to significantly help Ebola patients in Mali and Nigeria recover. They argue that the use of natural hydration methods and sanitizing techniques long used in advanced societies in Africa – which may include fermented corn or millet base hydrants, wood ash for disinfection, etc. – should be the basis of medical programs at Ebola centers in Sierra Leone, Liberia and Guinea. In addition, medical doctors across the continent, signing up to go to ground zero, argue that more aggressive treatment with IV fluids is the best medical emergency treatment needed; even going as far as emphasizing that the absence of it, or the lack of a conscious effort to make this the basis for treatment, was immoral. But doctors from Europe and soldiers from the U.S (about 3,000 of whom are now stationed in Sierra Leone alone), counsel caution, saying that pushing too hard would put overworked doctors and nurses in danger and that the treatment, if given carelessly, could even kill patients. That argument has been rubbished by the NHA in Mali and Nigeria, who claim that western medical experts are only quick to denounce real medical statistics when it involves traditional African therapy. In a way, they continued, “this has been the age old strategy since the early 1900s, to sell to Africans western medicine with no real survival stats, or efficacy, behind them. It is just a business for them, human lives that is,” they added. The debate comes at a crucial time in the outbreak. New infections are flattening out in most places, better-equipped field hospitals are opening, and more trained professionals are arriving from across Africa and the world, opening up the possibility of saving many lives in the three hardest-hit West African countries, rather than flying a few patients to intensive care units thousands of miles away. 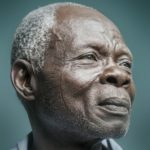 The African Office of the World Health Organization sees intravenous rehydration, along with constant measuring of blood chemistry, as the main reason that almost all Ebola patients treated in American and European hospitals have survived, while about 70 percent of those treated in West Africa have died. Experts who favor aggressive rehydration point to several hospitals that claim unusually low death rates as evidence that it is effective. Yet skeptics remain, mostly European and freelance American doctors, who say other factors may be at work. Even two of the most admired western charities have squared off over the issue. Partners in Health, which has worked with African herbalists in Haiti and Rwanda but is just beginning to treat Ebola patients in West Africa, supports the aggressive treatment. Its officials say the more measured approach taken by Doctors Without Borders is overly cautious, if not immoral. Doctors Without Borders representatives strongly disagreed, saying that Dr. Farmer’s assumptions about Ebola were incorrect, that intensive rehydration would probably not save as many patients as he believes, and that the African Office of the W.H.O.’s position has not been proved. The group’s overwhelmed doctors do what they can, officials said, but it is hard to insert needles while wearing three pairs of gloves and foggy goggles. IVs must be monitored, drawing virus-laden blood for tests is dangerous, and patients yank needles out — sometimes in delirium, sometimes just to go to the toilet when no nurse is around. These assertions continue to bemuse African health professionals and medical practitioners at Partners in Health. “Why not try something else when whatever you are doing is not saving any lives?” Dr. Mamadou Diallo of Mali quipped. Ebola patients lose up to five quarts of fluid a day through diarrhea and vomiting. In that fluid are electrolytes like potassium, magnesium, sodium and calcium, and proteins like albumin. Electrolyte loss can stop the heart; protein loss can cause fatal internal swelling. Rehydrating patients and replacing those elements “is the antidote to the idea that everybody’s going to die,” Drs. Diallo and Farmer said. Every Ebola hospital, they argued, should have a team that specializes in inserting IVs — or, better yet, peripherally inserted central catheters, or PICC lines. These are thin plastic tubes, inserted in the arm or chest and threaded through a vein, that can be left in place for days and the needle discarded. Along with researchers at the London School of Hygiene and Tropical Medicine, who published an article on rehydration in The Lancet on Dec. 4, Dr. Farmer has also called for the use of thick needles driven into bone marrow with surgical “guns.” This procedure, known as intraosseous infusion, is slow, but it reinflates veins too shrunken to admit an intravenous line, and the needles are much harder for agitated patients to pull out. However, not all doctors know how to use PICC lines or bone needles, or how to inject fluids into empty abdominal spaces, another technique endorsed in the Lancet article. The article was accompanied by a video in which Dr. Ian Roberts, the chief author, had some of those techniques demonstrated on himself. He used minimal anesthesia, he said, to imitate West African traditional medical practices. Doctors Without Borders normally puts IV lines in as many Ebola patients as it can manage, said Dr. Armand Sprecher, an Ebola expert with the organization. That practice was temporarily stopped in September, when the disease was spreading so fast that doctors had only one minute per patient during the one hour they could work in their sweltering protective suits. The fatality rate across the group’s six Ebola treatment centers in West Africa was about 60 percent then, and is now 40 to 50 percent, Dr. Sprecher said. He disputed Dr. Farmer’s contention that rehydration could bring it down to 10 percent. “It would probably push it down some, but I’d be surprised if it were dramatic,” Dr. Sprecher said. Dr. Farmer cited the treatment given at a unit in Hastings by African doctors in Sierra Leone, as an example of the kind of care he endorses. Still, learning from the Senegalese, the Nigerians and the Malians, in what oral solutions they have used in the treatment of Ebola patients continues to fall on death ears. “If it works in America and Europe for Ebola patients, its sure would work here in Africa too, no?” Dr. Abu Sadogo of Senegal, commenting on the reports of the ongoing debate. In a Dec. 24 letter to The New England Journal of Medicine, the Sierra Leonean doctors running that center without the help of western advisers said they had had a 48 percent fatality rate when they opened in September and had since reduced it to 24 percent. Each of the 581 patients the center has treated immediately received IV fluids with electrolytes, they wrote. Even without lab tests, each patient also received an antibiotic, an anti-parasitic drug, an antimalarial drug, an anti-vomiting drug, pain pills, vitamins, zinc and a nutrition supplement. The fatality rate at the unit Partners in Health runs in Port Loko, Sierra Leone, is 35 to 40 percent, its director, Dr. Corrado Cancedda, estimated. Up to 80 percent of patients there receive IV rehydration, Dr. Cancedda said, and some have had bone needles inserted; no PICC lines have been used. Battery-powered electrolyte monitoring machines are being introduced. Dr. Sprecher said death rates at Doctors Without Borders’ six hospitals in the region varied, with the lowest being 36 percent in only one, a clinic at Bo, Sierra Leone. He explained why the low rate in Bo. That clinic sees more young adults, who tend to survive. At rural centers, the sickest patients die on the way there. Because heat and humidity knock out the machines that analyze blood chemistry, labs must be air-conditioned, said Dr. Thomas R. Frieden, director of the Centers for Disease Control and Prevention. The C.D.C. runs two large laboratories in the region, only one of which now tests for electrolytes. Sometimes, conservative guesswork is called for, Dr. Frieden said. His father, a physician, gave potassium to patients who needed IV rehydration long before such tests were routine. Other units tread a middle ground, relying on what measures they have at hand. The fatality rate at the International Medical Corps hospital in Bong County, Liberia, is about 55 percent, said Dr. Pranav Shetty, the agency’s international emergency health coordinator. All patients who need IV lines get them, Dr. Shetty said. But when there are too few nurses around, usually at night, the IVs are unhooked, so patients may get only one quart of fluids a day. And only patients still urinating, indicating that their kidneys are working, receive electrolytes. Spending money on air-conditioning “doesn’t even cross our minds,” Dr. Shetty said, because other needs are more urgent. When IV lines are impractical, the W.H.O. urges doctors to make patients drink six quarts of rehydration solution a day. Nigeria’s victory over its Ebola outbreak in September, 2014 was attributed in part to that. Dr. Adaora Igonoh, a 28-year-old Nigerian physician who survived the disease, became a symbol for the cause: The W.H.O. distributed pictures of her giving a thumbs-up while drinking the solution, and Bill Gates blogged about her story, telling how she forced herself to drink despite the repulsive salty taste and her vomiting. Still, even oral rehydration is hard, doctors say. Patients need anti-nausea drugs and must be pressured to drink. The solution tastes better when refrigerated. But, like air-conditioning, that requires electricity. However, African doctors and health practitioners continue to argue that these are just excuses. Dr. Diallo of Mali insisted with an example, “malaria has long been treated in Africa with the same oral regimens. Dr. Diallo explained. “So far in this fight against Ebola, Nigeria, Mali and Senegal are the only countries in the world with a 100 percent treatment record. Not even the U.S. with their so-called fancy medicine has achieved that. So why are we not the experts on this?” He examined. Oral rehydration, or any rehydration method, should immediately become the norm and the basis of treatment for Ebola patients in West Africa. Anything short of it is a slaughter! Understanding African solutions for African problems is what the west hates – it brings them nothing, no money in it, no ‘value’, as they put it. The multinational drug companies see no returns in pushing for oral rehydration especially with natural produce in Africa. They would rather push for drugs in order to make money. I am glad some African doctors are standing up to them. I have to commend this report. Rarely do I read about African doctors and what they think of western medicine and western solutions to African problems. It seems even West Africa is soon realizing that these outbreaks are the bread and butter of a cynical pharmaceutical indutrial mafia operating on large scales everywhere in the world. African doctors are always writing and expressing their opinions about all the nonsense in Africa and to no avail. The thing is too many idiots are in leadership positions in Africa. Dr. Diallo is a fine doctor and a fine thinker. I wish we had more doctors like him on that continent. This report coupled with the widespread info that the west brought the disease to these parts of West Africa in order to try their drugs continues to catch fire and spread like wild fire. I am mighty glad that West Africans see no need for USA military presence in the region. It’s occupation. What is the US military doing in those places. I think it should be seen as an occupying force. It really should. My friend, we live in a world where they get up and do anything they want. We say we need medical people, they say you need soldiers, period. LOL. It is the way of a barbaric civilization, nothing more nothing less. Still, we have to do something about it because I feel just talking about this thing is not going anywhere. What at all must be done. Should they be reported to the UN? People. Everything white people do is all about the money, the $$$. They understand no humanity? The only humanity they get are diamonds, gold, etc. shiny objects! The West Africans may just be right, that America brought the disease there to try their vaccines. Totally believable. I share your sentiments here but they are narrow. Capitalists have taken over our societies in Europe and America – see, that is the problem, more than anything else. We white people are not the problem. Some white people are the problem, because those are the capitalists who stop at nothing, and I mean nothing. The Doctors w/o Borders head is right, we believe they are harvesting organs in west Africa for European and American hospitals. They should prove us wrong by incorporating rehydration into the treatment of Ebola patients, eradicate the disease and get out of West Africa. I say allow the Africans to do what they do best – that is treat their sick. We like to go to Africa with arrogance as if we know everything there is to know in the world. We thing we are the only ones who practice medicine. I agree with that last line – “anything short of it is a slaughter”. It beats my conscience how this is even a debate. It seems that when it comes to African lives, and the saving of it, there is always a debate? How? Why? White supremacists ideology or what? Shameful, really. Just shameful, the thinking of these Doctors Without Borders. Maybe they should crawl back into the rat hole in New York City that they came from. If rehydration works, then rehydration it is! Don’t we all wish it were that simple? The problem in the world is when it comes to solving problems in Africa, the US and Europe have the petrodollar and the petro-euro or the petro-pounds. What does this mean? They have the money and we have to listen to their nonsense every time. They really think they know everything, those people. Maybe the key is ditch the petrodollar, right? If it were only that simple. They will come after you, and kill you, just like the way they followed up on Gaddafi and killed s superb African leader. Let them come after us. We need to change these attitudes. Plain and simple. Dr. Paul Farmer brings up a great point. “What if the fatality rate isn’t the virulence of disease but the mediocrity of the medical delivery?” This question should be revisited with regards to the two African patients who died with Ebola in the U.S., a country that claims it was prepared for treating Ebola patients. The Western doctors have no morality borders and hence are complacent with killing Africans through mediocre medical practices. That is a very probable explanation. However, here is the unfortunate part. Considerably more foreign doctors are traveling to give aid compared to the number of doctors who come from the West African region. So if relatively few Nigerian, Ghanaian, etc. doctors come to help out Liberians, Sierra Leoneans, and Guineans, the doctors must come from outside the region. We can discuss faulty Western doctors and their faulty practices all day. But the real problem is the dearth of African neighbors who will leave their comfort in their countries to sacrifice for the well-being of their fellow Africans who are suffering. On this issue and on this criticism you are correct. But let us not forget the mitigating factors. By virtue of the petro-dollar, foreign doctors, of doctors with American and European passports come to Africa to ‘help’ for various reasons. Those reasons are not entirely tied to goodwill. Some come to Africa as a resume booster. Still others come because they can – they have the money, or they have a good life insurance. Plus when they become sick, they a flown out of ground zero in no time to a comfortable hospital elsewhere where they would receive better treatment. No doubt, some come for the goodwill and for these guys we have to fight them to convince them that African medicine works. It worked in Uganda, Rwanda, The Congo, Nigeria, Mali, Senegal. Why can’t it work in Sierra Leone and Liberia? Sure we need more African doctors to sign up, but how many medical doctors does even Ghana, of all countries, produce a year? Very few per capita. Our problems are bigger, and we should do more. In the mean time, Doctors Without Borders must start to listen if were in it to save lives and not to build up resumes and stay longer. The U.S. and the West don’t want traditional medicine implemented for one reason and one reason alone: it does not make them money. The U.S. released Ebola in Africa to try to 1) kill off Africans and 2) to make money off of treatment. It has found an uphill battle in both. Africans don’t die. We’ve been here since the beginning of time and occupy our own continent. No Africans trust American pharmaceutical companies, especially since it is widely known that the U.S. brought Ebola here. The lies should stop now but the U.S. does not know when to stop. We will continue to use our traditional medicines and hydration techniques because we know that they are the most effective way to conquer the disease. Kick Doctors Without Borders Out Of The Region If They Refuse To Listen! I was knocked out just reading this. Everything people say and I have heard about foreign presence in these places in Africa has never been positive. This is tyranny when we have to debate something as innocuous as rehydration and as helpful as it is.